Like almost any brand, Turtle Beach can be hit or miss. To their eternal credit, they were among the first headphone manufacturers to start making products for gamers specifically. Pushing past superficial features like racing strips and LEDs, Turtle Beach recognized that gamers use their gear differently. A full length movie or CD runs about 90-minutes. But gamers keep playing for hours beyond. They value communication and headset clarity, but don’t want to give-up the immersive sound necessary for playing deep story games. And juggling all of those elements specific to gamers can take a lot of work to execute properly. When it comes to headsets, personal preferences do matter. Some people will love the Turtle Beach Elite Pro 2 and all it has to offer. Others won’t end up as enthusiastic. If you’ve enjoyed previous Turtle Beach headsets, then you’ve already got a good idea of what to expect. And if you’ve not enjoyed them in the past, the Turtle Beach Elite Pro 2 does have an outside chance of changing your mind with its overwhelming quality. 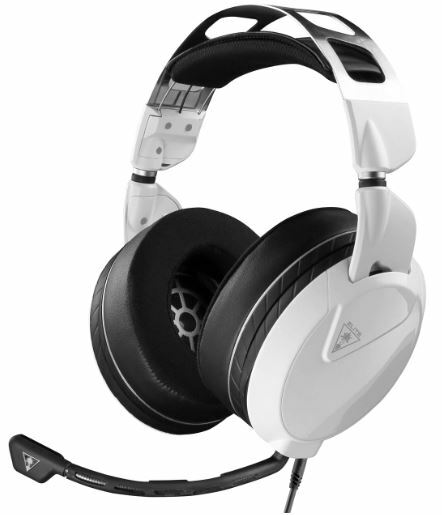 Physically speaking, the Turtle Beach Elite Pro 2 is a wired gaming headset. But Bluetooth does get involved. The Elite Pro 2 connects to its Elite SuperAmp with the help of Bluetooth. While the headset is wired, there’s a wireless portion of the design involved with the app-based sound control. The Turtle Beach Elite Pro 2 are constructed with large 50mm drivers, about one fifth larger than most over-ear headphones. And that over-ear design is built for two things: lasting comfort and noise isolation. Stretching out in-front of the headset, there’s a highly recognizable microphone boom. Its range of adjustment is somewhat unremarkable, but it does provide all the reach and angles necessary for ordinary use and storage. At the core of the Turtle Beach Elite Pro 2 is actually a separate device, the SuperAmp Pro audio system. 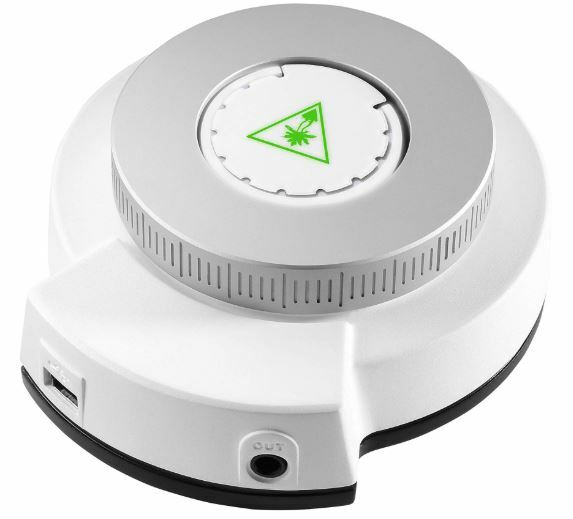 Externally it resembles a smoke detector with a small wheel on its face. Internally, this amp is what allows you to do is connect with the Turtle Beach Elite Pro 2 and make a variety of adjustments to customize and fine-tune your audio. Comfort for the Turtle Beach brand is almost always carried by their aero-fit ear cushions. The Elite Pro 2 is no exception, its memory foam ear cups are soft and smooth, though the faux leather material covering them isn’t phenomenally good at dissipating heat. 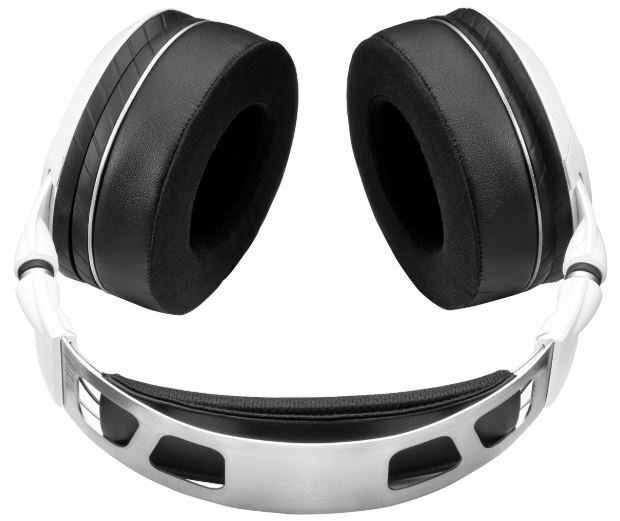 The over-ear cups are particularly deep, which provides a greater degree of noise isolation. And trapping a higher volume of air, this design even gives a small boost to bass response. Although it’s may not be obvious from first glance, the Turtle Beach Elite Pro 2 makes use of suspension headrest. Contrary to the heat-absorbing ear-pads, this headrest is excellent at helping to dissipate heat, and it does wonders for evenly spreading the weight of the Elite Pro 2 across your head. However, the suspension design does make replacing the headband impossible. 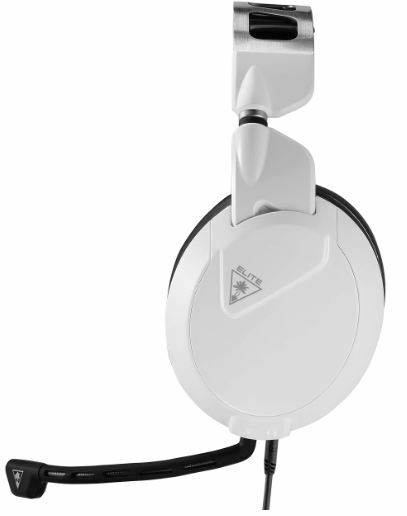 Another notable comfort feature for the Turtle Beach Elite Pro 2 is their PROSPECS Glasses Relief System. It’s basically a small indentation in the design of the headset which allows you to remove the pressure of glasses being pushed against your head by the headset. These small details can make a big difference for anyone who wears glasses, as well as those who use gaming glasses to protect themselves from blue light. If you’ve heard one pair of Turtle Beach headphones, then you’ve got a good idea of what any other pair will sound like. Every model, whether on the high end or entry-level, has its sound tuned to match Turtle Beach’s signature soundscape. 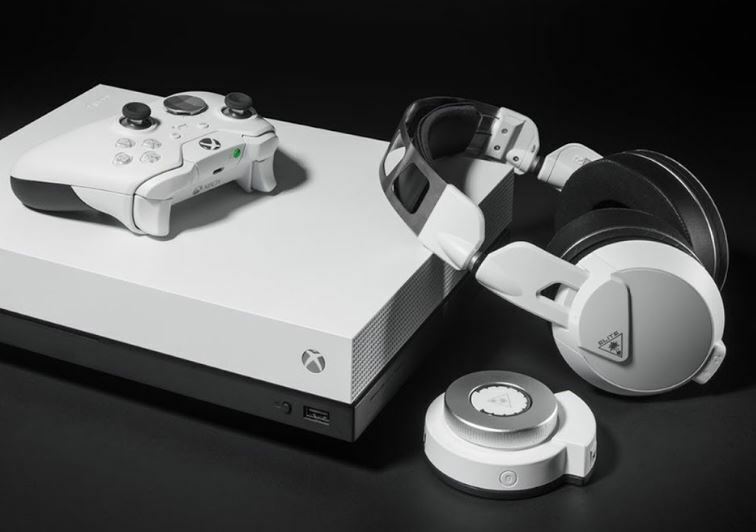 It’s a design that’s oriented towards providing audio clarity for gaming. That’s not to say they all sound exactly the same. The larger 50mm drivers used by the Elite Pro 2 help contribute to more depth-of-sound than you can get from smaller hardware. For hearing enemies creep up behind you, or pinpointing the sound of enemy fire off in the distance, little is as useful as spatially-accurate 3D audio. Those dynamic drivers deliver precisely that. But any discussion of sound quality for the Turtle Beach Elite Pro 2 would be utterly incomplete without mentioning the Elite SuperAmp. As discussed earlier, it’s a separate hub to which you can connect through an iOS or Android device. Once connected, you can personalize chat boost, EQ settings, stream music, take calls. And it’s in adjusting these settings that the Elite Pro 2 really reach their zenith. If you’re not someone who’s so hands-on with your audio gear, you may appreciate Turtle Beach has included a variety of simple audio presets within the EQ settings. Among them you’ll find signature sound, bass and treble boost, bass boost, vocal boost. The bass boost is somewhat useful for gaming, but is largely intended for immersion, like with movies. The vocal boost helps out with music where you can’t hear the words, for listening to your team-mates during a match, and so forth. These settings can be hit-or-miss depending on the kinds of things you’re listening to, but they provide some quick adaptive settings for people who want to get the most of their gaming audio experience. As with its sound profile, the Elite Pro 2’s microphone is close to standard for the Turtle Beach brand. These microphones have always been constructed for clarity first and foremost. Sometimes that’s a good thing, and sometimes it’s not. While this microphone would work beautifully for a professional streamer, it’s step below what you’d call studio quality recording. With respect to noisy environments, the Elite Pro 2’s microphone is somewhat underwhelming. It still allows for clear communication, but it will definitely pick up background noise in the process. One feature that helps differentiate the Turtle Beach Elite Pro 2 from more entry-level Turtle Beach headsets is the addition of TRUSPEAK technology. It’s basically an algorithm that helps to keep your voice clear and at audible levels as input levels change. So as your mouth gets further or closer to the mic, or as you start speaking softer than you have been, the microphone can help keep-up without you having to micromanage gain controls. 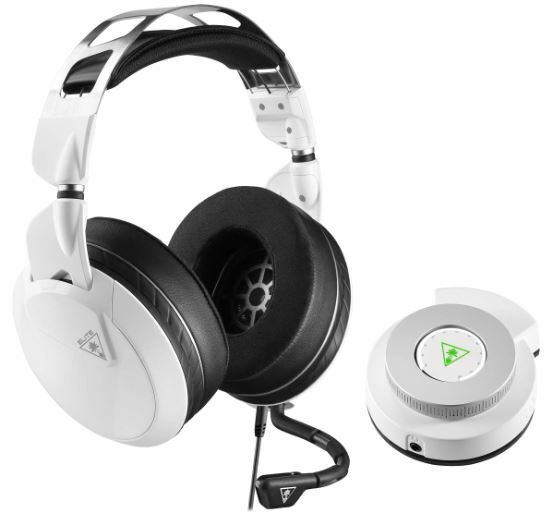 It’s also what enables the Turtle Beach Elite Pro 2 to offer the high-end Superhuman Hearing feature. It’s a feature which greatly heightens sounds that are intended to be ambient noises, while down-normalizing other noises. Experientially, it’s as if the sound you’re listening to is much louder. Even if it’s the sound of a mouse’s footsteps in the distance. The feature doesn’t make for a particularly immersive gaming experience, but it does give you a fairly distinct advantage in a variety of different circumstances. Anytime you’re playing a game where 3D audio information can give you clues, like footsteps leading you to an enemy, or the sound of battle in the near-distance, it’s invaluable. The Superman hearing feature is all about taking that audio information and turning it into actionable information. Like any piece of hardware, every pair of headphones has an expiration date. For higher quality audio equipment like the Turtle Beach Elite Pro 2, that expiration date can take as long as a decade. Usually it comes when either there’s a short in the cord, a lithium-ion battery reaches the end of its rope, or when the padding becomes so worn-down that it starts to spew forth bare foam like an old couch. The memory foam ear cushions can be swapped for easy cleaning and replacement, which is fairly convenient, and helps keep the Elite Pro 2 clean as you move from one gaming session to another. It also means you can swap the cushions entirely as they become worn into a thin matt of foam and thoroughly soaked in oils from human contact. However, the Elite Pro 2 doesn’t have a swappable wire. The wire is quite thick, well protected and well-seated on the headset. But under heavy use, you’d still expect to end up with a short in the wire after roughly three or four years. You can extend almost indefinitely by taking care not to tug and abuse the wire, but small accidents do happen, which is why it’s reasonable to forecast these headphones lasting for about three years of regular use. Another thing to keep in mind is the Elite Pro 2 was made rather specifically for the Xbox One. That’s not to say it can’t perform elsewhere. On the contrary, it works wonderfully on Windows PC, and can be adapted to other major consoles with little effort. But where the Elite Pro 2 truly shines are on Windows platforms like the Xbox. That’s because the Turtle Beach Elite Pro 2 supports Windows Sonic surround sound. When it comes to playing music or watching movies, whether or not you enjoy Windows Sonic surround sound technology is really a matter of taste. But when you’re playing a game, the faux surround sound can be a matter of life and death. Insofar as you’re able to use sound to help you determine where your enemies, and the directionality of different noises, having better information lets you make better decisions. Who Should Choose Turtle Beach Elite Pro 2? Even though Turtle Beach Elite Pro 2 are gaming headphones, they’re actually fairly good for other types of media as well. Surprising as it may seem, you can’t take that for granted. 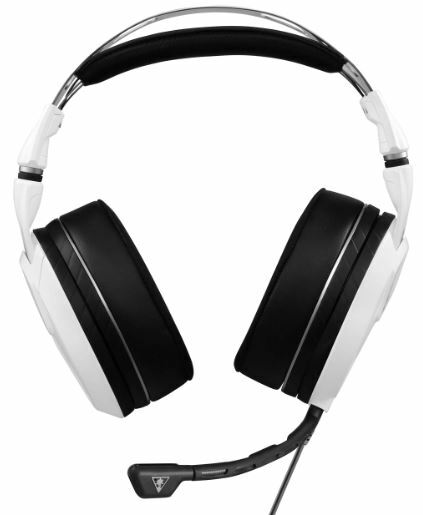 Many gaming headsets sacrifice quality in other areas to pursue gaming excellence alone. The Turtle Beach Elite Pro 2 can be a strong choice for Xbox players in particular because of its support for Windows Sonic surround sound, which can be used as a more immersive alternative to the Superman Hearing feature. Most of the utility of this headset is locked up within the Elite SuperAmp. It’s what allows you to make changes to your EQ settings, use the gaming-audio features, and so forth. But even when you turn off the Elite SuperAmp and are using the headset as an ordinary analogue headset, it’s comfortable, has an effective microphone, and still sounds fairly good. You could find a headset more uniquely suited to playing music, but you’d struggle to find headsets which are more uniquely suited to gaming.